Coconut water is the clear liquid found inside a young, green coconut which is usually about the size of a basketball. Ideally, young coconuts are harvested at 5-7 months of age, to contain the most water. The greatest nutrient health benefits of coconut water comes from drinking the water of the young coconut, not the mature coconut milk, which is generally lower in nutrients. Electrolytes are critical to maintain blood volume, heart health, and well as to prevent dehydration. Maintaining electrolyte levels can help reduce fatigue, stress, and help maintain muscle relaxation. Unlike any other beverage on the market, coconut water contains five essential electrolytes that are present in the human body. These include: calcium, magnesium, phosphorous, potassium and sodium. Coconut water boasts endless other health benefits, regulating cell growth that aid skin damage and prevent signs of aging. It helps in regulating blood pressure, increasing metabolism and boosting energy levels and contains antibacterial properties that aid digestive health. As the coconut matures, the liquid is replaced with coconut “meat”. Fresh coconut meat far surpasses store-bought shredded coconut in both flavor and versatility. It can be eaten raw, cooked or preserved and enjoyed in smoothies, desserts or as a great healthy snack. It is a rich source of Folate, a B vitamin needed for healthy metabolism and red blood cell function. The meat contains 17 amino acids out of the 20 amino acids needed for optimal protein formation, it’s a potassium powerhouse as well as a great unknown source of dietary iron. The type of fats present in coconut meat are the healthy type, medium-chain triglycerides (MCTs). When you eat coconut meat, the MCTs it contains are transported from the intestinal tract to the liver and immediately transformed into fuel. We also know that this superfood can be super challenging to enjoy fresh you have no means of cracking it open without potentially losing a limb. However, with the help of Inventor, David Goodman, who has dedicated 12 years to manufacturing the perfect tool for coconutter’s worldwide, we are excited to announce a solution to your struggles. 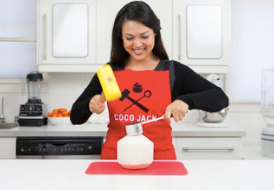 After a little helping hand from a local blacksmith, extensive research, 100 prototypes and vigerous testing, the Coco Jack was born and in 4 easy steps, you can be enjoying fresh coconut in a matter of seconds. NOTE* The Coco Jack must only be used on fresh, young coconuts - Do not use with brown, mature, hairy coconuts. Step 1 - Strike the front end of the Coco Jack only. Right on top of the logo. "X" marks the spot! Coco Jack should form an angle as it dips into your coconut. Step 2 - Pry the handle down towards ground, opening the coconut. Step 3 - Slide your hand up the handle and push the crown out with your thumb. Push with your thumb and lift the tool straight up. Step 4 - For the scoop tool, remove the lid of the coconut by prying straight back and down. Press the scoop firmly against the inside wall of the coconut, and hold in place. Then turn the coconut, *not* the scoop. Once you get all the way around, the meat should all come out in one piece! For instructional videos, click here. Read all warnings and instructions before use and use only as directed Use only on fresh, young coconuts - Do not use with brown, mature, hairy coconuts. Use only on a sturdy countertop or table. 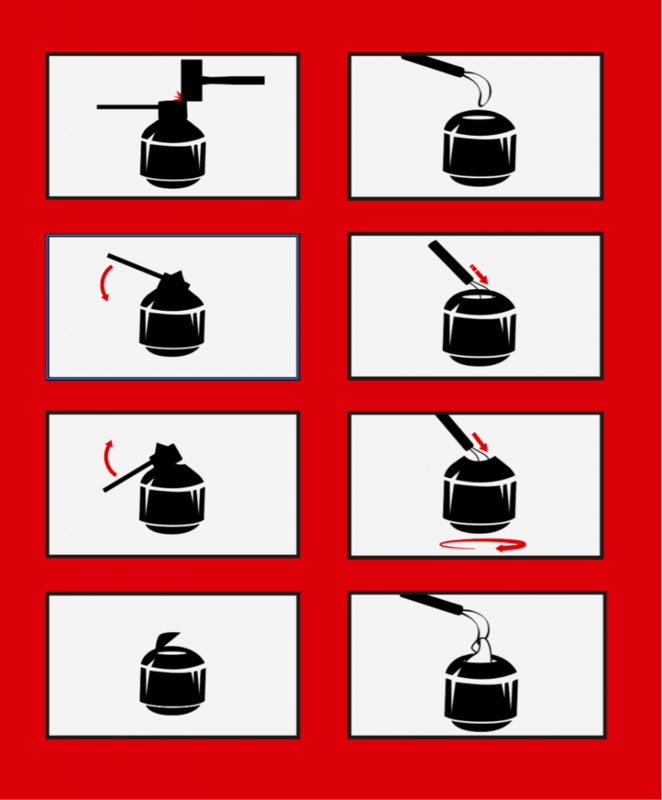 Hammer blows can break or damage ordinary tabletops and counters. Keep a bowl nearby during use in order to catch liquid should coconut burst open during use. Use only with EZ-Coco mallet. Not tested or approved for use with other mallets, hammers, or beaters. Do not use metal hammers on your Coco Jack. Keep fingers away from cutting edge at all times, especially during use and while prying off the Coco Jack from the coconut crown. Keep away from small children. Minors should only use with careful strict adult supervision Hold handle grip securely with non-hammering hand to prevent vibrations and to keep coconut from sliding around the table Keep non-hammering hand well out of the way during hammering. Always hold the rubber/vinyl grip in order to ensure adequate clearance from the hammer. Do not use if you have any medical condition that would prevent you from constantly hitting the desired spot on your Coco Jack with the mallet or if you are on any medications that would prevent you from doing same. Do not operate under the influence of drugs or alcohol. Coco Jack could be very dangerous if misused. 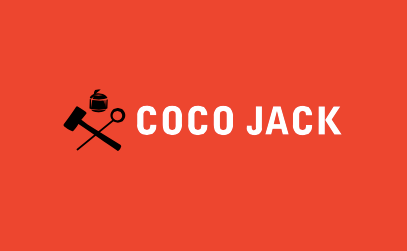 Do not over-hammer your Coco Jack. Over-hammering may cause the coconut to break or explode. Recommended to open only 10-15 coconuts before resting in order to avoid fatigue. Rubber/vinyl grip should always be used in order to absorb shock and vibration to the hand. Use the hammer only for the Coco Jack and not for any other household purposes in order to avoid cross-contamination with food. In humid conditions, condensation may form on coconuts causing them to become slippery. Use extra caution as well as a dry towel to grip the coconuts while prying the Coco Jack out if the coconuts are wet. If your Coco Jack includes a "seam" at the top of the "cup," be sure to scrub thoroughly when cleaning with a stiff bristled brush, otherwise, bacteria formation may occur and cause a health risk to the user. Remove rubber/vinyl grip before cleaning and allow the handle and the grip to dry thoroughly before reassembling. Wash Coco Mallet gently with a damp cloth and mild soap if necessary. Do not submerge in water, and do not place in dishwasher. Clean thoroughly and allow to dry completely before storing. Always store items in the Coco Sack with the dull side against the bottom so as not to tear the sack. Straws and brushes should be placed lying down against the bottom of the bags. Until now, this mega tool has only been available in the US but here at Vitasave.ca, we are committed to making health accessible to every Canadian and so we made it our mission to bring the Coco Jack to you.